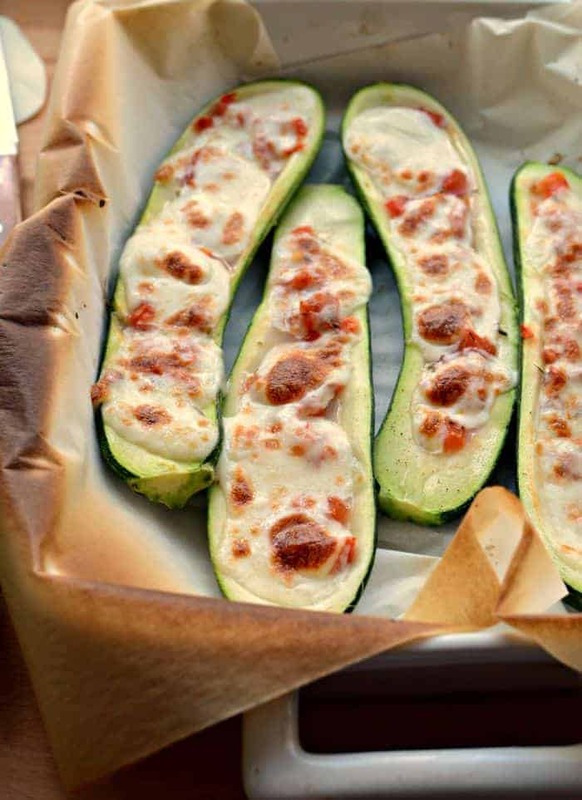 Zucchini boats made with tomatoes and fresh mozzarella are one of my favorite summer dishes when the zucchini is just coming out of the garden. 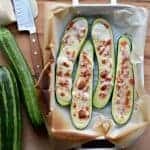 Zucchini boats are one of my favorite summer dishes when zuchinni is little, tender, and just coming out of the garden. I make this dish with all kinds of things like a rice and hamburger mixture, taco ingredients, and even pizza ingredients. 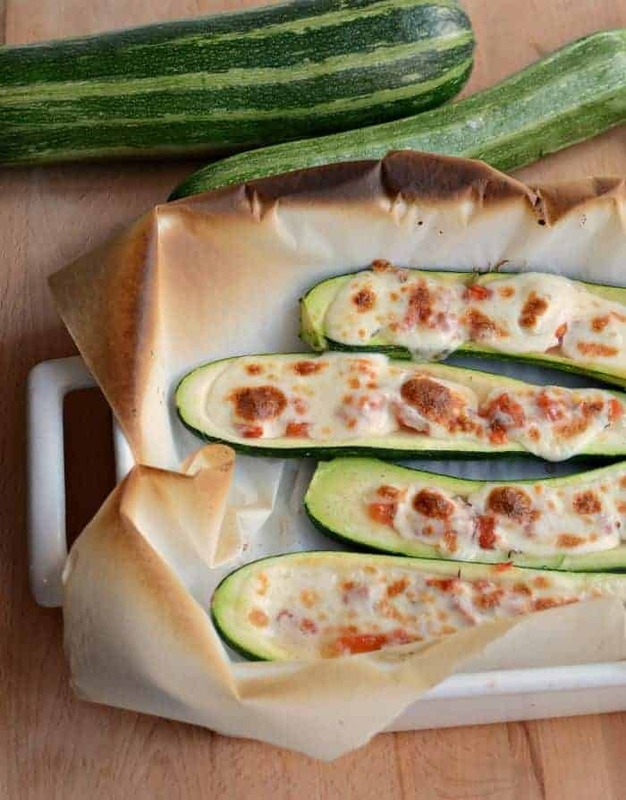 Today I’m sharing the simplest way to make a zucchini boat. It also happens to be one of my favorites. This simple side is sure to please just about any crowd, and you can’t beat how it practically makes itself. Just be sure to find nice young, tender, and not too big zucchini. Super huge zucchini are inevitable now and again, but this isn’t the place to use them. I like to make zucchini pancakes, zucchini banana bread, pineapple zucchini muffins, and oatmeal zucchini cookies with grated squash from a big zucchini. Here you are going to want a smaller zucchini that is 6-8 inches long. If you aren’t growing your own, look for zucchini that is firm and has a smooth, blemish-free skin. Need more ideas for giant zucchini besides a recipe? If a zucchini gets lost in the garden and grows much too big, we’ll split it in half and feed it our hens, but here’s an even better idea. Collect a few huge zucchini and let your kids make boats out of them! Have them carve off the top and scoop out some of the middle, and then decorate and add sails by using sticks, leaves, and even flowers. We love taking our literal “zucchini boats” to the river and letting them set sail. Bonus points if you have access to a little waterfall you can crash them over! This is such a fun end-of-summer tradition in our house. Use small zucchini here (6 to 8 inches). Save the monster zucchini for grated zucchini dishes (like Easy Healthy Make Ahead Zucchini Egg Bake or Pineapple Zucchini Muffins). I consider 2 halves a serving size though one half is more realistic if serving children. This recipes is easy to scale up and down as needed. You can save the scooped out zucchini for zucchini bread, to saute with eggs in the morning, or you can even freeze it and throw it in smoothies (you’ll never know it’s there!). Preheat the oven to 400 degrees and line rimmed baking sheet or baking dish with parchment paper. Cut the zucchinis down the middle, length-wise, and scoop out the seeds and flesh (save for another purpose), leaving about 1/2 an inch of the zucchini shell. Lay the zucchini halves, cut sides up, in the baking pan and sprinkle generously with salt and pepper. Remove the seeds and chop the tomatoes small. Add the oregano, vinegar, and more salt and pepper to taste to the tomatoes and then divide the tomatoes evenly among the zucchini. 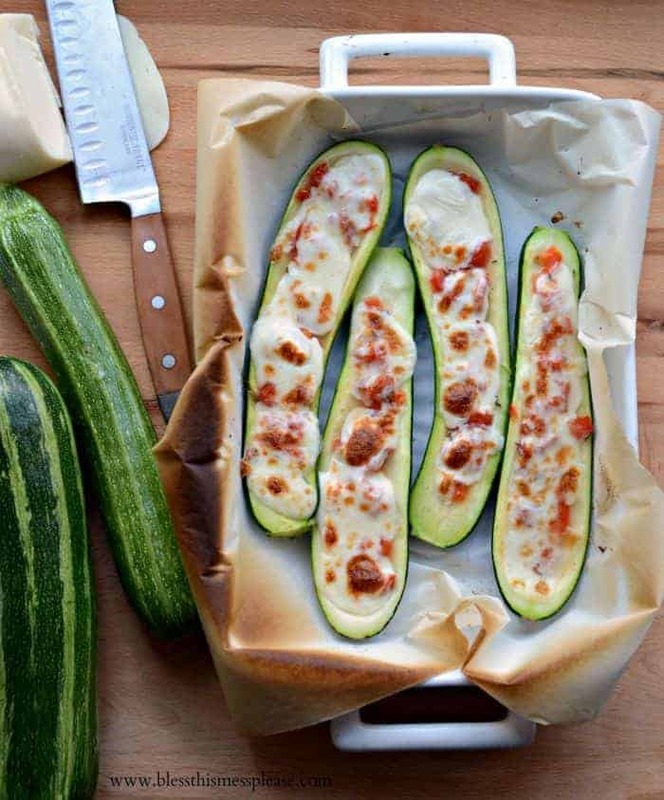 Bake the tomato stuffed zucchini until the zucchini is tender, about 20 minutes. Remove from the oven. Slice the mozzarella thin and then tear it into 1 inch pieces. Place on top of the tomatoes. Broil the mozzarella until it starts to bubble and brown just a bit, taking care no to burn it. Remove from the oven and serve hot. This is a great side dish for just about anything grilled with corn on the cob and watermelon. Dinner doesn’t have to be fussy to be amazing! Enjoy!